B.A. 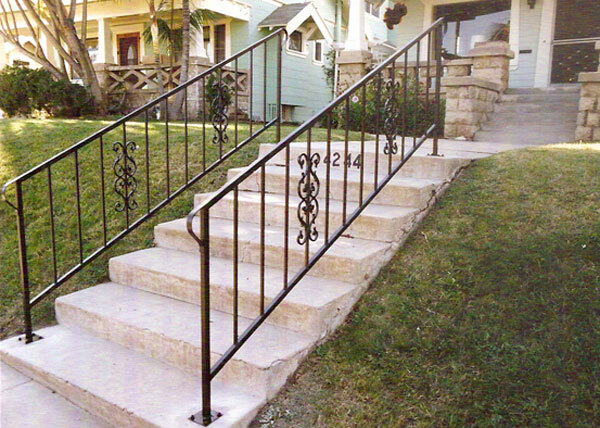 Ramirez & Sons Ornamental Iron Works Inc. is San Diego's premier choice for custom iron railings. Since 1980, we've installed or replaced ironwork for thousands of satisfied customers and earned a reputation for beautiful and lasting craftsmanship at a fair price. Our ornamental and wrought iron railings range from the simple, functional, and economical, to the highly ornate and extravagant. By telling us about your aesthetic preferences, application, and budget, we'll be able to customize our ironwork services to your specific needs. At B.A. 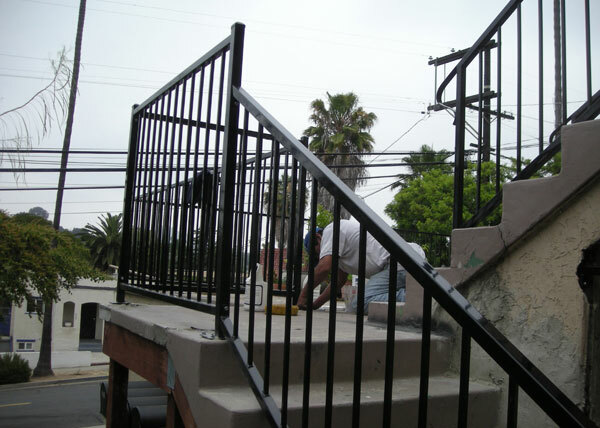 Ramirez & Sons Ornamental Iron Works, our balcony and staircase railings are hand forged and installed by industry experts. Our owner has 35 years of experience and is supported by ironworkers and installers who have between 40 and 50 years of experience. They have the knowledge and skills to ensure that your new staircase or balcony railing complements your home or business and is properly built and finished. We offer quality tubing and solid steel; three options for rust protection (metallization, hot-dipped galvanization, and powder coating); 100s of powder coat colors; and a wide range of casted designs. 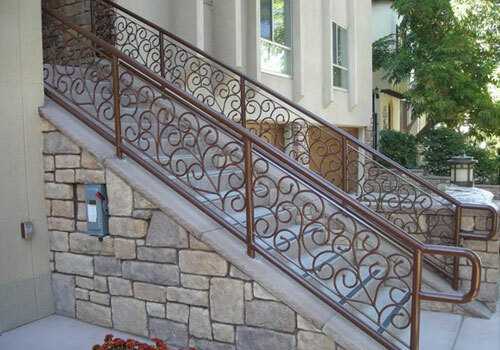 Also, because we do all our ironwork in house, we can create or replicate any railing design, from decorative picket-type balusters to hand-forged, flowing scroll designs that take the place of balusters. We can even combine our iron balusters with an existing wood railing. With B.A. Ramirez & Sons Ornamental Iron Works, anything is possible. We'll be happy to work with you in person, by phone, or over email. Even when working with a very loose sketch, we are able to develop your ideas into a complete design and fully realize our customers' visions 99% of the time. We can also recreate a design from a photo and recommend adjustments that will save you money and resolve weak points. In any cases, we'll ensure your custom staircase railing lasts as long as possible and helps to increase the value of your home or business. Contact us today to learn more. We can install simple to elaborate railings for both new and existing staircases. For traditional, spiral, circular, rounded, and wrap-around staircases. Both designs can also feature decorative knuckles, oak leaves, rose leaves, baskets, knobs, and more. Hand-forged tubing or solid steel. Engineered and installed in strict compliance with building codes and any relevant HOA CC&Rs. 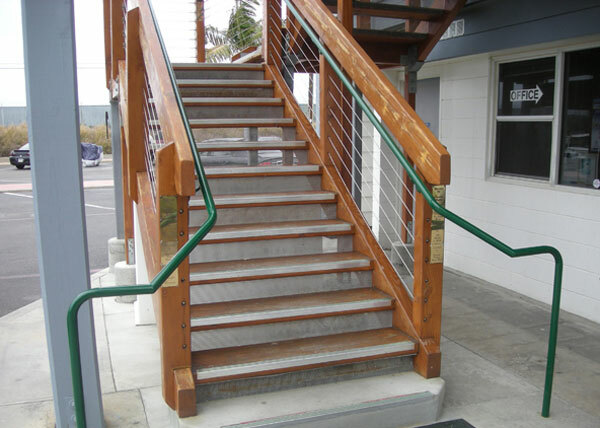 Option to have railing galvanized, powder coated, or metallized for protection from rust. For interior and exterior, residential and commercial applications. Two-year warranty or labor and materials. 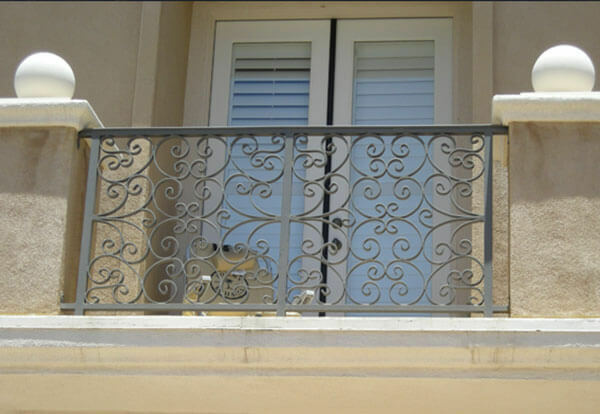 Our custom railings can elevate the look of any interior or exterior balcony. Railing can consist of ornate picket-type balusters or flowing scrollwork. For stairs that have a railing on one side and a wall on the other, a wall-mounted, inclined handrail can be added. 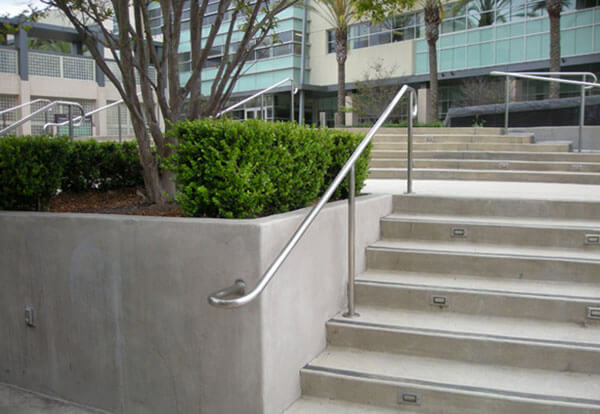 This type of handrail can be functional as well as decorative. Completely customizable, but usually given a rounded, rectangular, square, or ornate look with or without a molded cap. 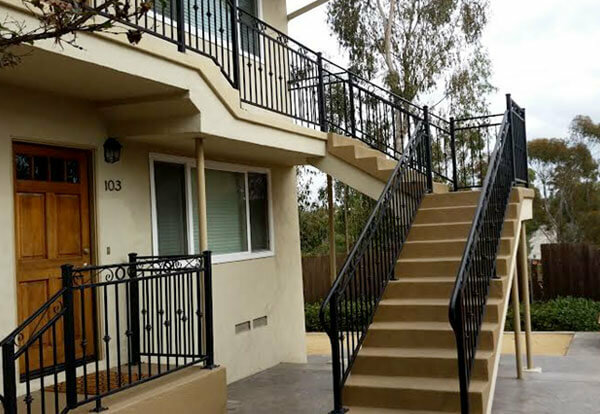 When installed outside, handrails can be powder coated, galvanized, or metallized. 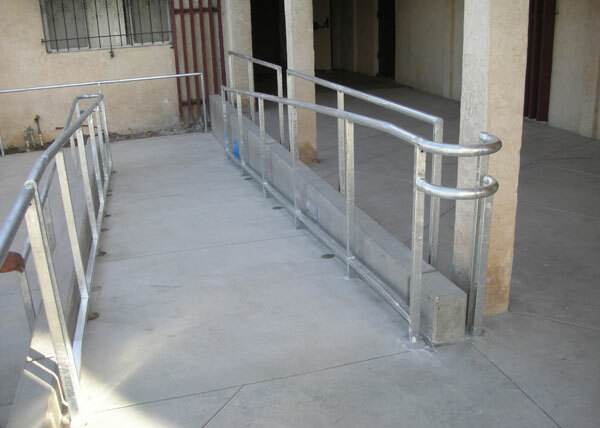 Ability to design handrails that are ADA approved.